The Global Volcanism Program has no activity reports for Abu. The Global Volcanism Program has no Weekly Reports available for Abu. The Global Volcanism Program has no Bulletin Reports available for Abu. 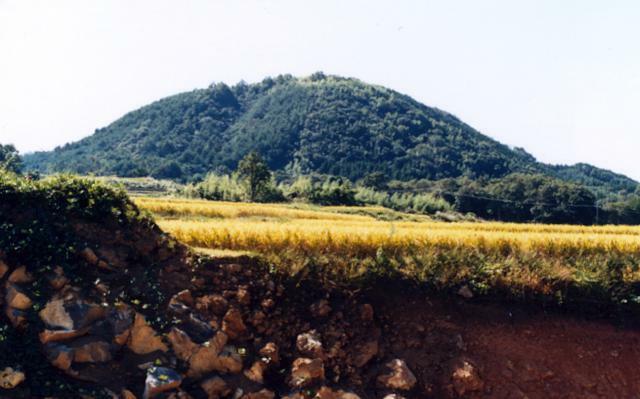 The Abu volcano group, located along the Japan Sea coast near the SW end of Honshu, consists of basaltic-to-dacitic lava flows, small shield volcanoes (some of which have associated cinder cones) and lava domes. More than 40 monogenetic volcanoes are located in an area of 400 km2. Iraoyama forms the high point of this group of small volcanic edifices, some of which form offshore islands or submarine vents. Volcanism here is considered to be related to subduction of the Philippine Sea Plate. An earlier phase of activity at the dominantly Pleistocene Abu volcano group during the late-Pliocene to early Pleistocene was followed by renewed activity about 800,000 years ago that continued into the Holocene. The latest dated eruption was dated by thermoluminescence at about 8800 years ago. Koyaguchi T, 1986. Textural and compositional evidence for magma mixing and its mechanism, Abu volcano group, Southwestern Japan. Contr Mineral Petr, 93: 33-45. There is no Deformation History data available for Abu. There is no Emissions History data available for Abu. This forested lava dome is part of the 571-m-high Abu volcano group, located along the Japan Sea coast near the SW end of Honshu. The Abu volcanic field consists of lava flows and small shield volcanoes, some of which have associated cinder cones and lava domes. Abu volcano is of either late-Pleistocene or early Holocene age. There are no samples for Abu in the Smithsonian's NMNH Department of Mineral Sciences Rock and Ore collection. Large Eruptions of Abu Information about large Quaternary eruptions (VEI >= 4) is cataloged in the Large Magnitude Explosive Volcanic Eruptions (LaMEVE) database of the Volcano Global Risk Identification and Analysis Project (VOGRIPA).